Welcome to Lindale Apartments! Ask about our upgrades. 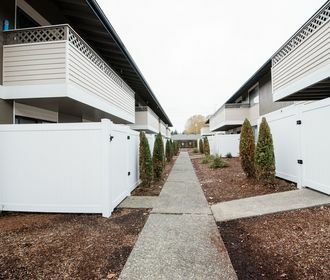 Lindale Apartments is an ideally situated apartment community in the Meeker neighborhood in Puyallup, WA. A short distance from downtown Lindale offers quiet residential living while keeping you connected to eclectic shopping opportunities, main transit, popular dining options, entertainment and more. Nearby hotspots include The Washington State Fair, Pioneer Park and South Hill Mall. Boasting newly renovated homes, Lindale Apartments offers beautiful 1 and 2 bedroom floorplans. Each home offers a spacious living area with large windows, which allow plenty of natural light. 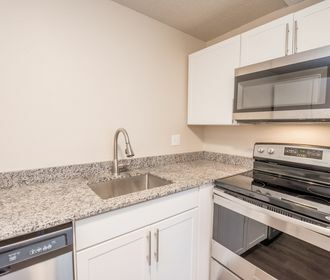 In the kitchen, you will find beautiful white cabinets, granite countertops and stainless steel appliances. 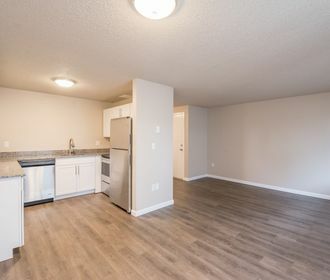 You will not be disappointed in the finishes and quality of these brand new apartment homes. Lindale is also a pet friendly community; please refer to our policy to ensure that your furry companion meets our guidelines! Do not miss out on these wonderful homes! Apply online through the online leasing program or call to schedule a tour of your new home today!